All over Rajasthan was the exclusive courtyard in every Rajput Family household, where guest relatives and marriage parties were made to stay for days together camping there as if in their own home. Since the owner Kunwar Sandeep Singh and his wife Rajkumari Aprajeeta both belong to Rajput noble families of "Raath" in Rajasthan and "Malwa", dating back their family histories to Mughal times. Hence they have created their own Homestay for guest in modern times in an exclusive residential area of Jaipur and equal - distance (6 km.) from airport, railway station and bus stand. 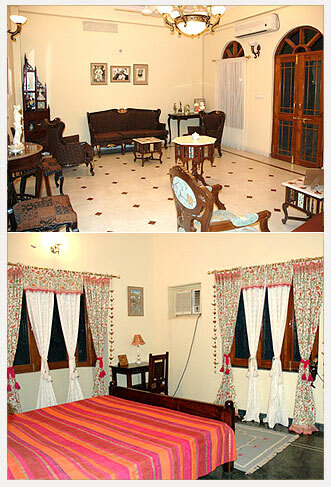 Your host aspire to give same welcome and hospitality to out guests as was given in a Homestay Traditionally. This Property is also suitable for small conferences and parties. Taxi service , doctor on call and Laundry facilities are also available at Homestay .